Lester Donald Leland Reimer, 88, passed away Monday, April 1, 2019 at the Overland Park Regional Medical Center in Overland Park, Kansas. He was born on September 18, 1930 at the family home in South Dakota near Zeeland, North Dakota, the son of Martin and Lydia Schmidt Reimer. When Lester was eight years old his family moved to the Arvonia, Kansas area. Lester attended a one room school house in Arvonia and later graduated from Lebo High School with the Class of 1950. Lester married the love of his life, Eileen Gray on September 4, 1955 at Messiah Lutheran Church in Emporia. To this union they welcomed a daughter Darla in 1962. Lester and Eileen would make their home in Lebo for the next 62 years. 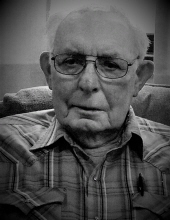 Lester maintained his membership at Messiah Lutheran Church for over 80 years. He held a strong sense of family and community as well as possessing a tenacious work ethic. Lester farmed with his father and brother until renting his first farm at the age of 17. Lester was a dairyman for 30 plus years, a stockman for over 50 years and continued to farm in the Lebo and surrounding communities for 70 years. Following his retirement from farming in 2017 he and Eileen moved to Lenexa to be nearer their daughter. Lester will live on in the hearts of his wife Eileen of Lenexa; a daughter Darla Lange of Shawnee; a sister Ramona Evans of Lawrence; a grandson, Matthew Lange and his wife Heather of Kansas City, Missouri and a great-grandson Parker Lange of Kansas City, Missouri. He was preceded in death by a sister, Arlene Jones and a brother Clarence Reimer. Services will be held at 10:30 A.M., Monday, April 8th at Messiah Lutheran Church in Emporia. Burial will follow services at Lincoln Cemetery in Lebo. The family will receive friends from 1:00 P.M. until 3:00 P.M. Sunday at the Jones VanArsdale Funeral Home in Lebo. The family requests that memorial contributions be made to the Messiah Lutheran Church and sent in care of the funeral home. Condolences may be expressed at vanarsdalefs.com. To send flowers or a remembrance gift to the family of Lester Donald Leland Reimer, please visit our Tribute Store. "Email Address" would like to share the life celebration of Lester Donald Leland Reimer. Click on the "link" to go to share a favorite memory or leave a condolence message for the family.